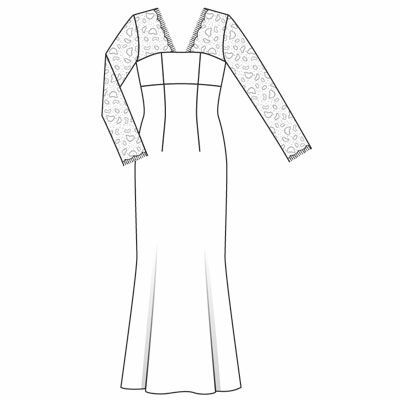 I made a full length evening dress from Burda magazine 12/2008 two years ago.. The dress has been worn only once since then.. I found it recently and decided to wear it again but in a shorter, cocktail length version. That is the first time I’m refashioning my own sewn garment.. I like this dress and think it deserves being worn more than once.. 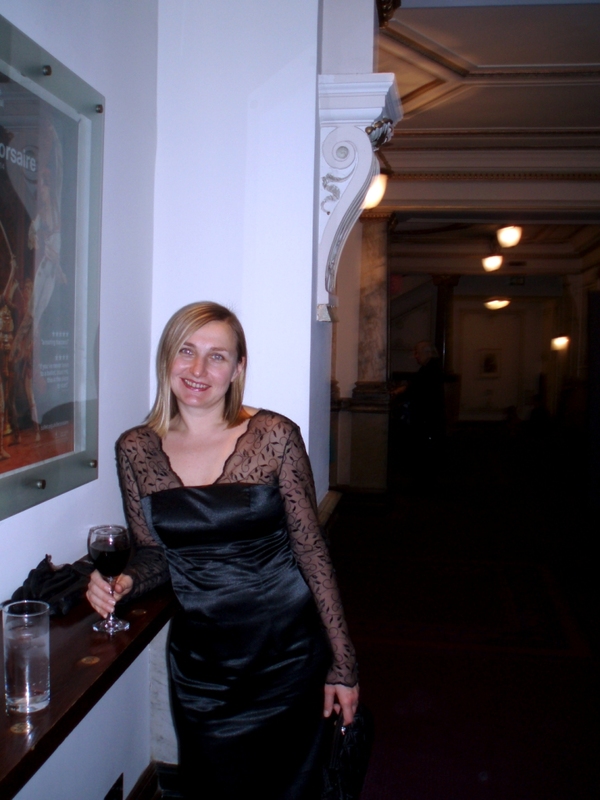 I wore it again last week to The Nutcracker at London Coliseum. 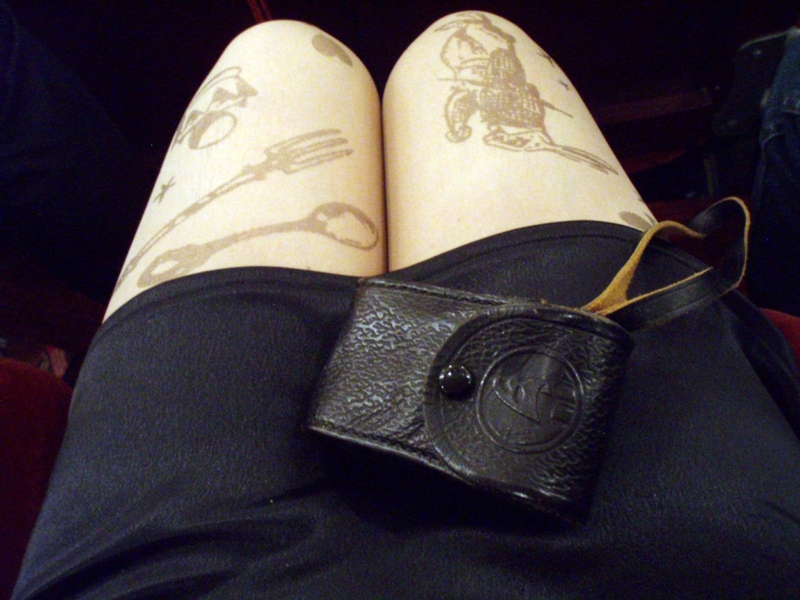 Do you like my new Alice in Wonderland tights, by the way? Your dress is beautiful at both lengths but you should be able to get more wear from the cocktail version, so good decision on your part there. The lace is an interesting touch. 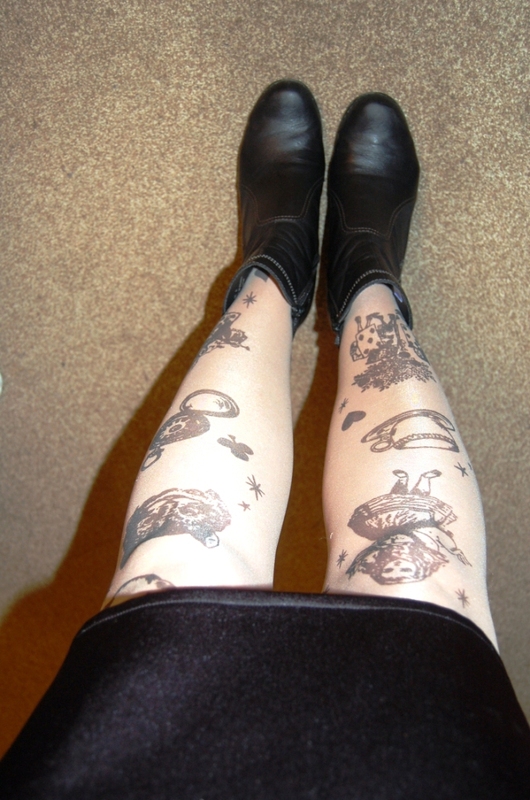 Yes, your Alice tights are great! This looks so nice on you! I like both versions but especially the shorter one. gorgeous! Thanks for showing both versions. Long version, short version and those tights – all look divine! Lovely to find your blog via PR!